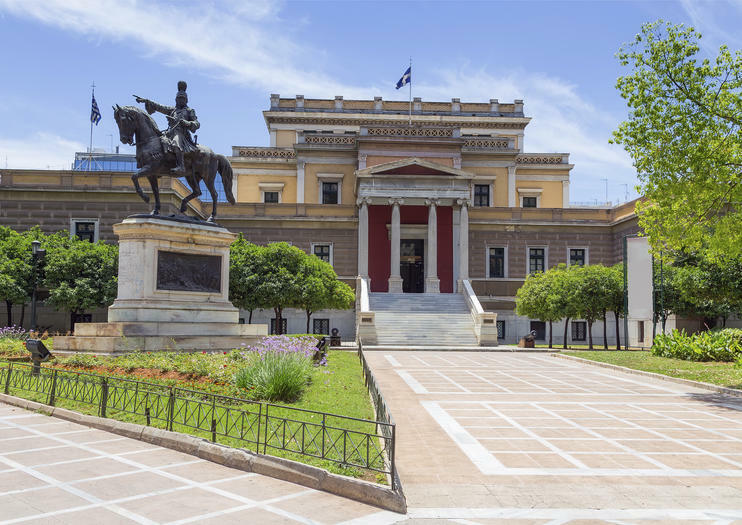 Covering the period from 1453 to the 1940s, Athens’ National History Museum takes visitors from the Ottoman years right up until the Greek-Italian War. The museum is housed in an ornate Neoclassical palace dating back to 1813 and has seen several incarnations; it was once the home of King Otto, the first Greek monarch after independence in 1832, before being taken over by Greek Parliament, who in turned moved out to the current Parliament Building in Syntagma Square in 1932. Lastly, the Old Parliament building housed the justice ministry before opening as a museum in 1962, showcasing turning points in Greek history from the Byzantine rule to the build up to the Wars of Independence in the 1820s and the disastrous Asia Minor Campaign in 1919. Weaponry, colorful folk costumes, decorative arts, war medals and statuary are exhibited in a chronological display through a suite of rooms spinning out from the original parliamentary chamber, which is in itself a highlight of the museum. Located at 13 Stadiou Street in Athens, the museum is open Tuesday through Sunday from 9 a.m. to 2 p.m. Admission costs €3 for adults. Metro lines 2 and 3 can be taken to Syntagma Square. Hours: Tuesday-Sunday 9 a.m.-2 p.m.
Catch the historical highlights of Athens in one morning on this private half-day panoramic tour. Traveling by air-conditioned minivan, hear about the city’s history, and pass landmarks including the Panathenaic Stadium, Temple of Zeus, and Parliament, along with the Acropolis. Enjoy a walk around the Acropolis’ slopes, and view the best of its archaeological treasures at the new Acropolis Museum. Athens hotel, cruise port, or airport pickup and drop-off included. This is a unique tour in Exarcheia district, outside the crowded touristic areas of Athens but at the heart of it's modern history! Walk in Exarcheia and the area around like a local and witness the Athenian way of life, discuss the historical events that defined the modern history of Greece and witness first hand why this district is so different and controversial. During our walk we will laso have the chance to relax by drinking coffee or tea at a local favorite place! Experience our high-quality Athens city tour.Book your taxi among our modern fleet.What makes us to stand out: -We quarantee: • Safe, easy, hassle-free transfer • High-quality services -We offer: -Pick up from a professional, licenced, reliable, english-speaking driver -Assistance for any concerns about your stay with the eye of a localler. -Air-conditioned cars -Free wifi on board -We can provide, upon request, the baby seat that is suitable for your child’s age. -An impressive knowledge of history of the city of Athens by our driversLet us be the wonderful start of your unique experience in Greece.